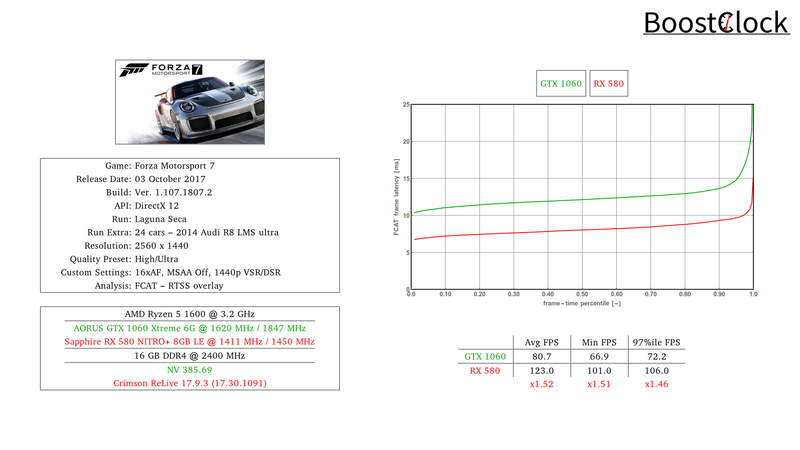 It seems that Forza 7 can make the RX 580 work harder, GPU utilization doesn't dip below 95% on the AMD card. 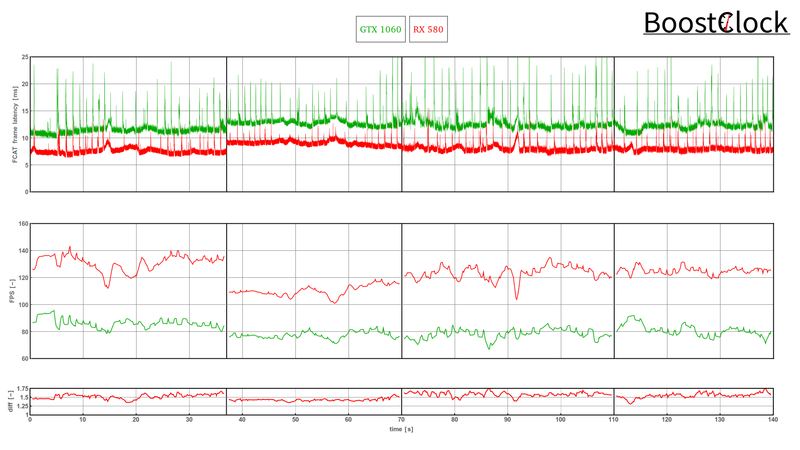 The frame time graphs and the pattern of stutters are much like what we have experienced in Forza Apex. Overall, the Polaris card clearly rises above the GTX 1060 in every metric. Note: the exact time of day cannot be forced, shadow placement / intensity and shading can vary.